1 When the Lamb opened the seventh seal, there was silence in heaven for about half an hour. 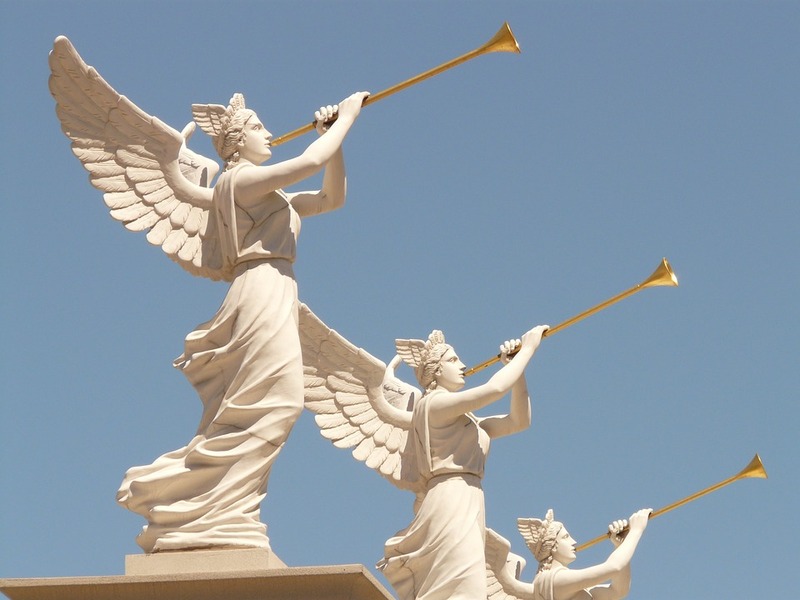 2 And I saw the seven angels who stand before God, and seven trumpets were given to them. 3 Another angel with a golden censer came and stood at the altar; he was given a great quantity of incense to offer with the prayers of all the saints on the golden altar that is before the throne. 4 And the smoke of the incense, with the prayers of the saints, rose before God from the hand of the angel. 5 Then the angel took the censer and filled it with fire from the altar and threw it on the earth; and there were peals of thunder, rumblings, flashes of lightning, and an earthquake. The seventh seal is open, and the content of the scroll can now be revealed. We enter a period of silence. With the sixth seal the inhabitants of the earth realize that God is about to act and now even in heaven the praise of the countless multitude is interrupted. The silence may reflect a type of silent reverence toward God or the message that has just been unsealed, or it may provide a space where the prayers of the saints can come before God so that God may hear the oppression of God’s people as God did in Exodus. Speech and song may stop but action continues as the seven angels before the throne are handed trumpets and a different angel offers up incense and prayers. The seven angels may be the seven archangels listed in 1 Enoch 20: 1, a part of the Jewish Pseudepigrapha (a collection of works that were not included in the canon of scripture). Yet, while many are fascinated by attempting to catalogue the ranks of the angels of heaven only Michael will be named in Revelation and while these angels have a role to play within Revelation as those called to blow the trumpets which enact judgment we have no further information on their identity or role beyond this action. Incense in the tabernacle or temple was burned to honor God and to protect the priest from being harmed by the divine presence of God. John sees the angel’s offering of incense and prayer rise up before God. The scene ends with the prayers going up and fire coming down. The fire which is taken from the altar is thrown to earth and it is received as thunder, lightning and an earthquake, all signs of divine judgment in the ancient world. 7 The first angel blew his trumpet, and there came hail and fire, mixed with blood, and they were hurled to the earth; and a third of the earth was burned up, and a third of the trees were burned up, and all green grass was burned up. 8 The second angel blew his trumpet, and something like a great mountain, burning with fire, was thrown into the sea. 9 A third of the sea became blood, a third of the living creatures in the sea died, and a third of the ships were destroyed. 10 The third angel blew his trumpet, and a great star fell from heaven, blazing like a torch, and it fell on a third of the rivers and on the springs of water. 11 The name of the star is Wormwood. A third of the waters became wormwood, and many died from the water, because it was made bitter. 12 The fourth angel blew his trumpet, and a third of the sun was struck, and a third of the moon, and a third of the stars, so that a third of their light was darkened; a third of the day was kept from shining, and likewise the night. The trumpets begin a new cycle of visions of destruction and judgment. While I view the seals as a prelude illuminating the world that the content of the scroll, which is revealed symbolically through the rest of the book, will address. With the trumpets we see God’s action in response to the prayers that have been lifted up and the cries of those whose blood has been shed. Like in Exodus 3: 7, the LORD has observed the misery of God’s people and God’s response is a combination of action and sending Moses as a witness. Most people who insist on God’s “nonviolence” cannot resist using violence themselves (or tacitly sanctioning its use by others). They deem the talk of God’s judgment irreverent, but think nothing of entrusting judgment into human hands, persuaded presumably that this is less dangerous and more humane than to believe in a God who judges! That we should bring “down the powerful from their thrones” (Luke 1: 51-52) seems responsible; the God should do the same, as the song of that revolutionary Virgin explicitly states, seems crude. And so violence thrives, secretly nourished by belief in a God who refuses to wield the sword. To Christians who live in easy accommodation with the ways of power, like those in the churches in Sardis and Laodicea we met in chapter three, the language of judgment may be uncomfortable or unwanted. As a person who serves in a privileged and predominantly affluent suburb in the United States it may be easier to deal with a God who allows things to remain as they are or to rely upon my own power for action and to take judgment into my own hands. But if vengeance is mine, then perhaps I too have fallen prey to the temptation the serpent put before Eve in the garden of Eden: to be like God. On the other hand, those who dwell on the violent portions of Revelation often miss the restraint that is a part of this and other places where divine judgment is involved. From the story of Noah onward we see that wrath or violence does not change the inclination of the human heart and punishment alone does not bring about repentance. Another reflection from my time in the military that may also be a part of the costly patience of God has to do with the impact of these actions upon the people and the earth. Conflict that involves military force is always destructive and while modern military action often is restrained in its use of force there are always innocent casualties and damage to environment where the action occurs. While there is restraint in God’s actions as the trumpets sound here in Revelation the damage to the earth is dramatic. Like in Exodus 7-12, where God’s actions until the very last sign and wonder attempt to limit the death of the people of Egypt, the predominant ‘victim’ of the divine action is the earth. In Genesis 3:17, when God is judging Adam and Eve after they eat the fruit of the tree of the knowledge of good and evil, the earth bears the curse for humanity and likewise here in Revelation it will be the plants, the waters and even the sun and stars that will suffer prior to the sixth seal where death is unleashed and 1/3 of humankind is killed. The first trumpet is hail mixed with fire and blood. Fire mixed with hail was one of the signs and wonders used against the Egyptians while the Israelites were slaves (Exodus 9: 13-35) and later in the book of Ezekiel it was prophesied against Gog and its allies (Ezekiel 38:22). Blood falling with rain is also a portent of war in Greco-Roman writings. (Koester, 2014, p. 448) As mentioned above it is the earth that feels the impact of this hail, fire and blood. That doesn’t mean people would be unaffected. The grass was used for feeding the flocks and the wood was used for everything from shelter to furniture to fuel for heat and cooking. One third of the earth being consumed by fires would be both an ecological and a financial disaster for the people and yet it allows for survival so that there remains an opportunity for continued witness and the hope of repentance. The second trumpet impacts the seas and the creatures that live within it. While there are ships that are destroyed, the earth again bears the primary impact of this trumpet of judgment. The loss of sea life would impact the diet of the people throughout the Roman empire who ate seafood and the loss of shipping would be an economic disaster for those who lost ships, cargo and crews. Yet, life continues to remain possible. The third trumpet impacts the fresh waters by making them undrinkable. 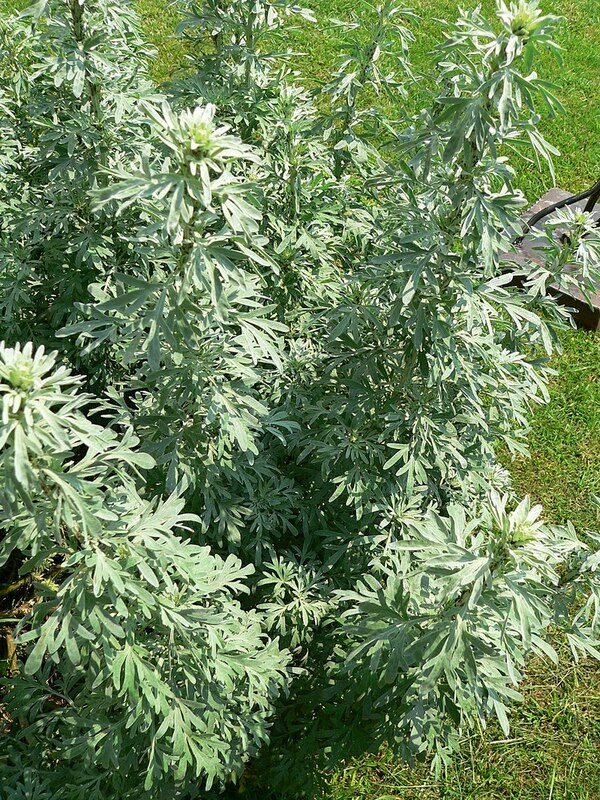 The naming of the star ‘wormwood’ references artemisia abisinthium which is bitter and whose oil would make food and water unpalatable. Even though this plant is now used for medicinal purposes, the reference here is to water that is no longer potable. While many died from undrinkable water there much of the waters that are not impacted so that life can continue and there remains the opportunity for change. Finally, the fourth trumpet eliminates a third of the light of the sun, moon and stars. Even the heavens are altered by the narrative of Revelation. Combined the first four trumpets bring about an ecological disaster impacting the skies, the seas and the land. When I was growing up in the 1980s at the height of the Cold War the popular interpretations of passages like this were based on a nuclear war. While I don’t think John was witnessing a nuclear war being unveiled to him I do think it is important to realize that many of these images are portents of a devastating war and the ecological disaster it can bring. When I was growing up there were individuals who hoped for this war because they believed it would signal the beginning of the ‘apocalypse’ and would bring about God’s return. I wonder now how anyone could hope for the type of ecological and humanitarian disaster that a nuclear war would bring. There will always be a temptation to link concrete events with the language of Revelation, and at times of crisis like World War II, Revelation was viewed by some as a promise that the terror would have a limited span and that the horror would end. Revelation may prove a beacon of hope for those dealing with disasters and terrors across history but I prefer to allow the images to retain their plasticity and their ability to speak to multiple times and experiences. The chapter ends with an eagle crying out “Woe, woe, woe” for the remaining trumpet blasts. This dire statement brings us into the expectation that the final trumpet blasts will be more severe than the four that came before. Yet, even these woes that are coming have limits placed upon them to allow for continued witnessing and calling for repentance. This entry was posted in Biblical Reflections, Revelation and tagged book of Revelation, God's Judgment, Revelation 8, Seven Angels, Seven Trumpets, Wrath of God. Bookmark the permalink. Excellent teaching. Revelation is a fascination read. Thanks for having the courage to post as many shy from it teaching for various reasons.